What does Sheren Tang say to make Sean Lau laugh like this? 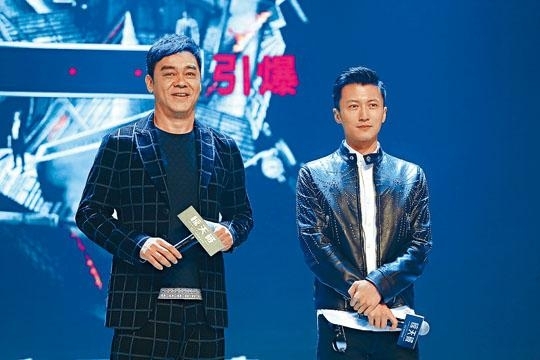 The Nicholas Tse Ting Fung and Sean Lau Ching Wan starred action crime suspense film HEARTFALL ARISES (GAING SUM POR) yesterday held its Beijing premiere press conference. Two Best Actors worked together again after THE BULLET VANISHES (SIU SUT DIK JI DAN). Ching Wan admitted, "Ting Fung is no different from 4 years ago, he is still unwilling to speak. He still doesn't really pay attention to others." Ting Fung also joked that their film should have been called THE CO-STAR VANISHES, as this person seemed not to be on the set. 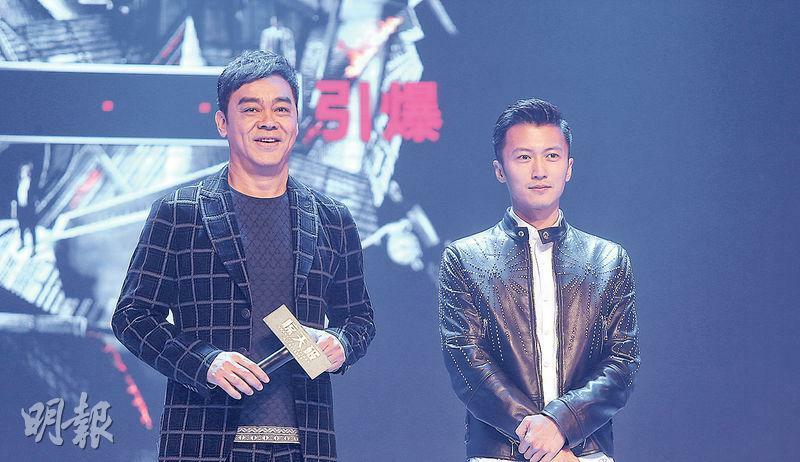 Ching Wan and Ting Fung appeared on the stage together and was asked about working together again. Ching Wan said, "Aside from working on the film we don't really talk." Ting Fung also said that Ching Wan had few words on the set. "When we made THE BULLET VANISHES we seemed to be making THE CO-STAR VANISHES, but as soon as the director started work, Ching Wan's character would appear on camera and he got into character in a flash." Ching Wan felt that Ting Fung was much more mature, his acting even more excellent. He would study his character in depth and their scenes together went very smoothly. They both posed as nice home husbands. Ching Wan joked about being caught shopping at the market earlier, "Ting Fung and I are perfectly matched. I shop at the market, he cooks -- absolutely flawless!" Sheren Tang Shui man played Ching Wan's wife. She revealed that she had a "bed scene" but she complained, "Ching Wan doesn't say much on the set, we finished the scene without too much exchange!" They played a game of "who is the real bad guy". Ting Fung played a honest cop and said that he did not dare to do anything bad. Ching Wan said, "If I was the bad guy, then no one would live. The bad guy of course isn't me." This year would be Ting Fung's 20th in the business. 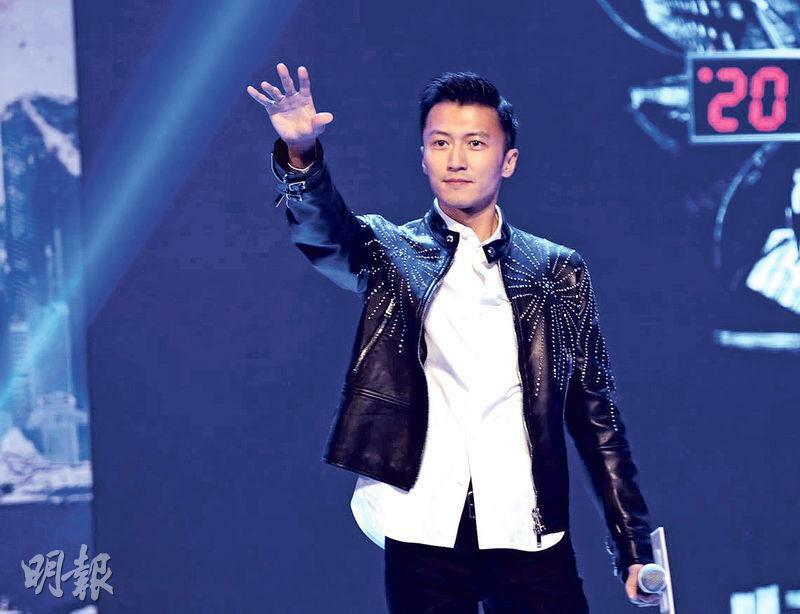 Fans strongly demanded that he performed a concert.